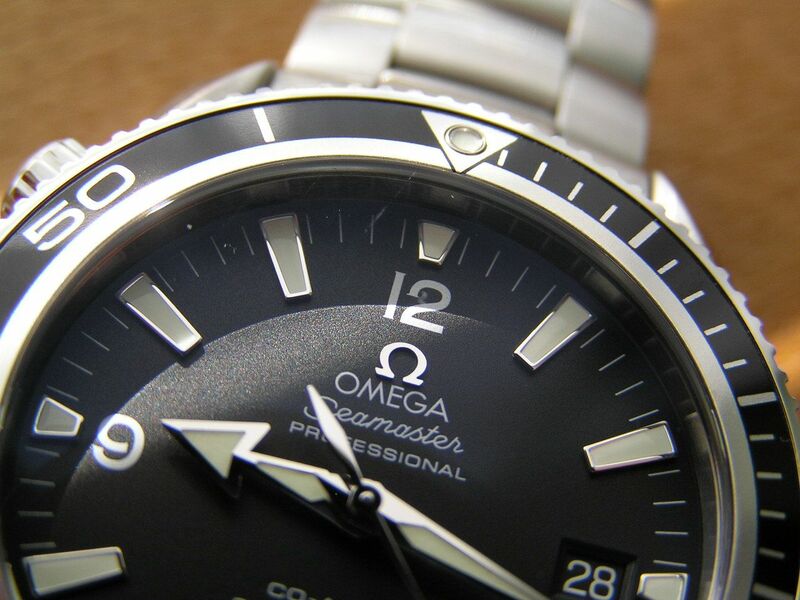 What more can be said about an Omega watch? 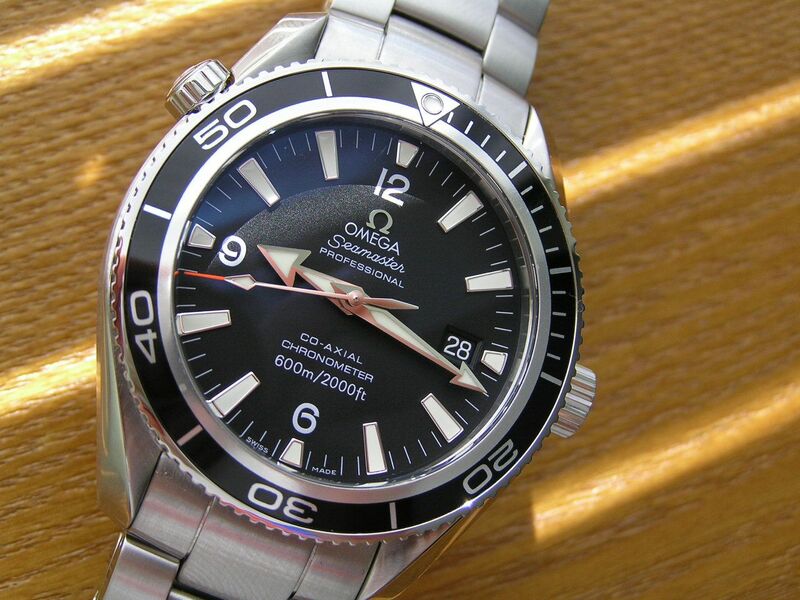 Or about the iconic Seamaster models? 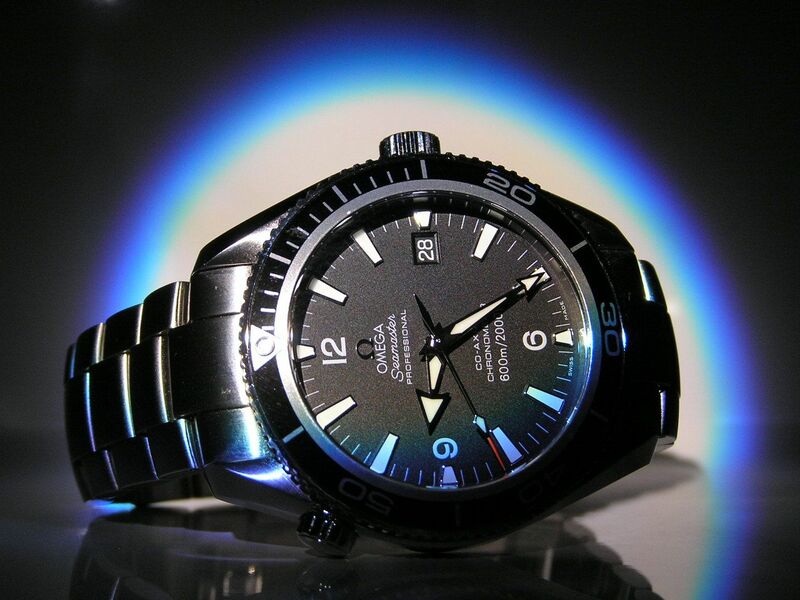 Well, a few years ago when Omega introduced the Planet Ocean line of Seamaster automatics, they caused a buzz, and rightly so. Here was a watch available in either 45.5mm or 42mm sizes, standard or chronograph, in a variety of color combos (including an orange bezel, yep, they started the recent orange bezel craze) with stainless steel bracelets, rubber or leather straps with superb styling and immense good looks. Sounds like 007 himself, Daniel Craig! 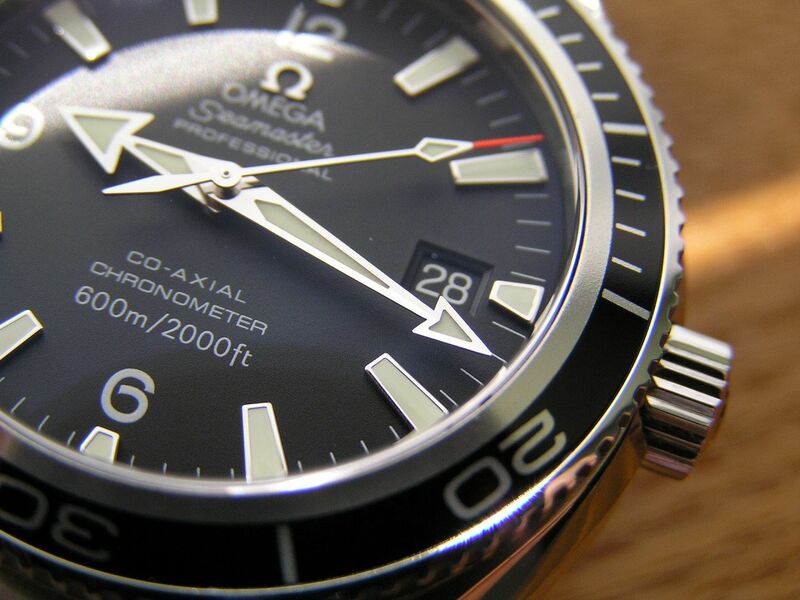 I have owned a ‘regular’ Seamaster Pro automatic for over eight years and consistently feel it’s one of the finest watches in my collection in terms of accuracy, quality, looks and value. When I picked up this Planet Ocean several months ago, I was hoping to feel the same love for it, and overall, I do. It’s simply a great watch. I choose the most conservative color combo and size for my Planet Ocean: 42mm, black dial, black bezel, stainless bracelet, white arabics. This watch simply looks amazing in person with a high degree of anti-reflective coating on the domed sapphire crystal that gives the watch a real quality look and feel. 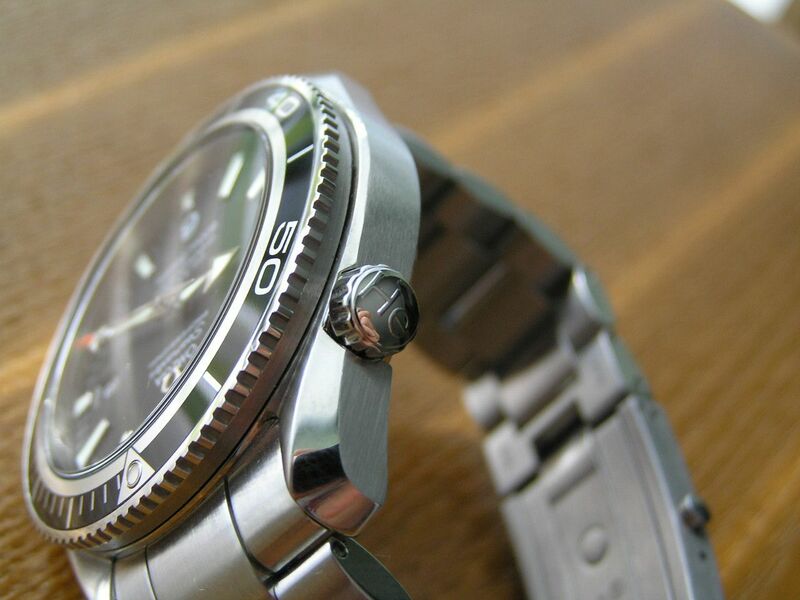 The broad arrow style hands (the defining look of the Planet Ocean – ‘PO’ for short) are stunners. The orange/red tipped seconds hand adds just a bit of color to the presentation. The unidirectional bezel, with its thinner insert, clicks 120 times for an hour's worth of timing with an inset lume pip at 12. It all works in outright harmony. The PO begins with a 42mm stainless steel case (actually about 41.7mm without crown; 44.4mm crown inclusive) with beautifully executed brushed and polished finishing and Omega’s classy ‘turned in’ lugs. As previously mentioned, a domed sapphire crystal caps the dial and exhibits no reflections whatsoever, due to the coating that is applied. Lugs are 20mm, case thickness is 14.2mm. 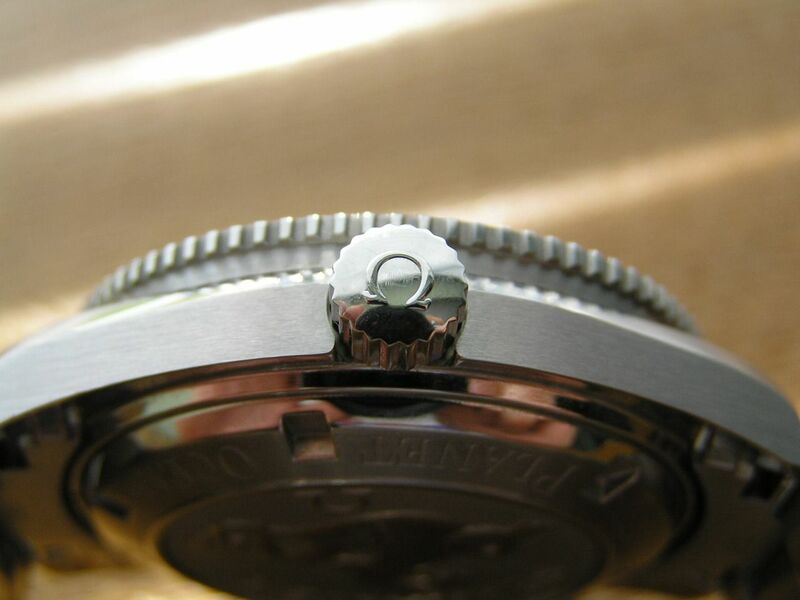 The caseback screws down and is an example of perfection with its clean and minimal design. 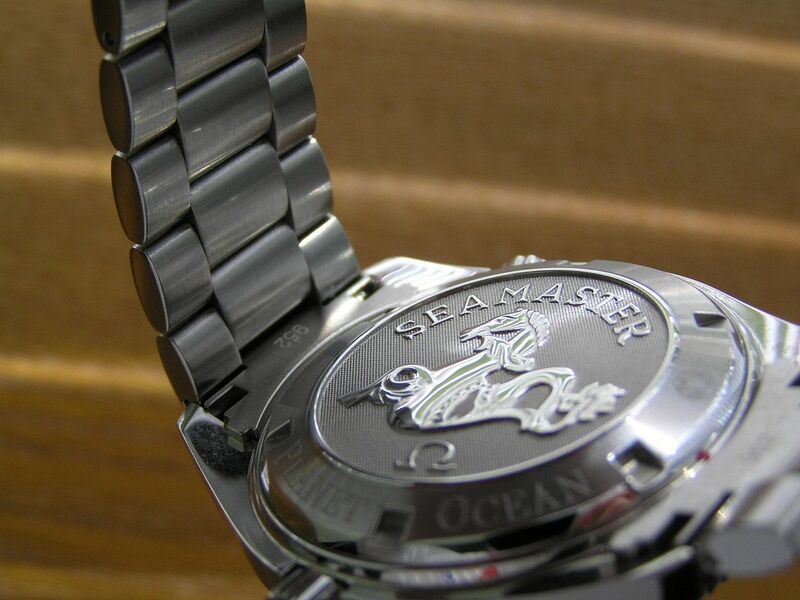 Minimal printing encircles the border with an artfully crafted and absolutely lovely heavily embossed Seamaster seahorse logo in the center, which is presented in deep relief and polished to perfection. The logo looks like a proof coin from the U.S. mint, it is truly that spectacular. The PO is also a no-nonsense diver, good for 600 meters of water resistance, with a screw down, signed manually activated helium escape valve (HEV) and a screw down, signed main crown. Inside the PO ticks Omega's Caliber 2500 co-axial escapement movement, with a rated power reserve of 48 hours, which was met in my testing lab. This movement is also chronometer certified, and perhaps my only disappointment with my PO is that it barely achieves chronometer performance, running about -5 seconds per day (this from a brand new watch not previously owned or worn). 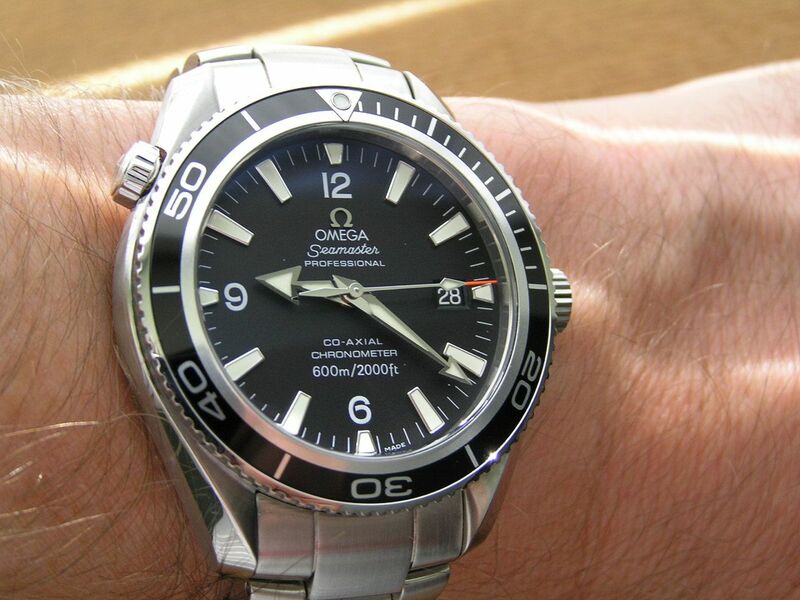 Yes, that is still good performance, but considering my Seamaster Pro still runs at +1 per day after eight years, I expected better. I’m sure a tweak to the regulation would cure its ‘just’ chronometer performance, but for now, it stays as is. 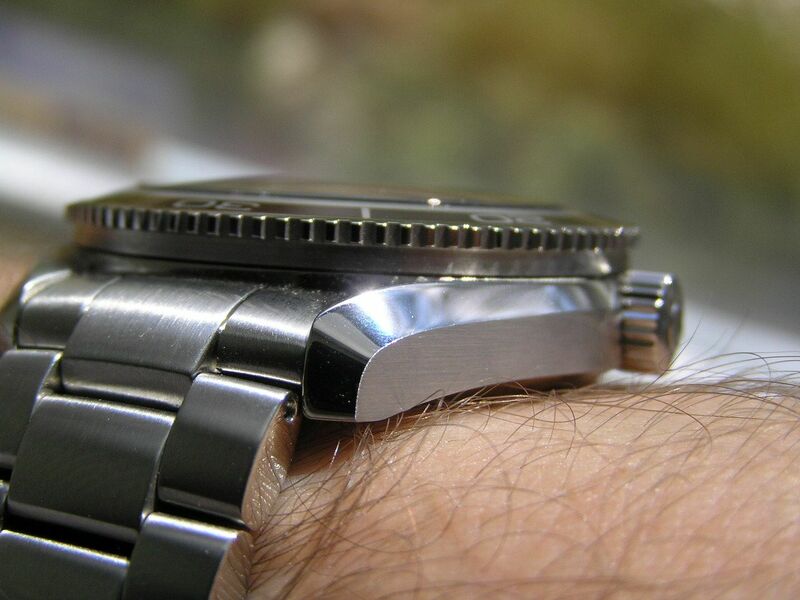 The Caliber 2500 is an ETA 2892-2 base movement with 27 jewels. Omega tweaks this base movement, adds the co-axial escapement and tops it all off with a rhodium plated finish, among other decorations. 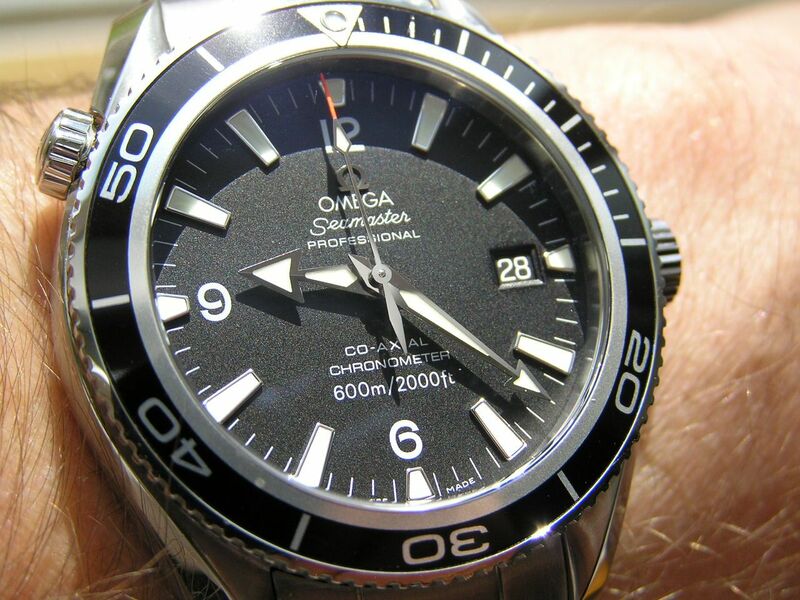 The dial on the PO is a pleasing matte black with applied luminous markers and screened arabics at 12, 6 and 9. A quickset date window (with white on black calendar wheel) is at the 3 position. The broad arrow hands are executed to perfection with inset lume, with the orange/red tipped second hand sporting a small arrow of lume near its tip. 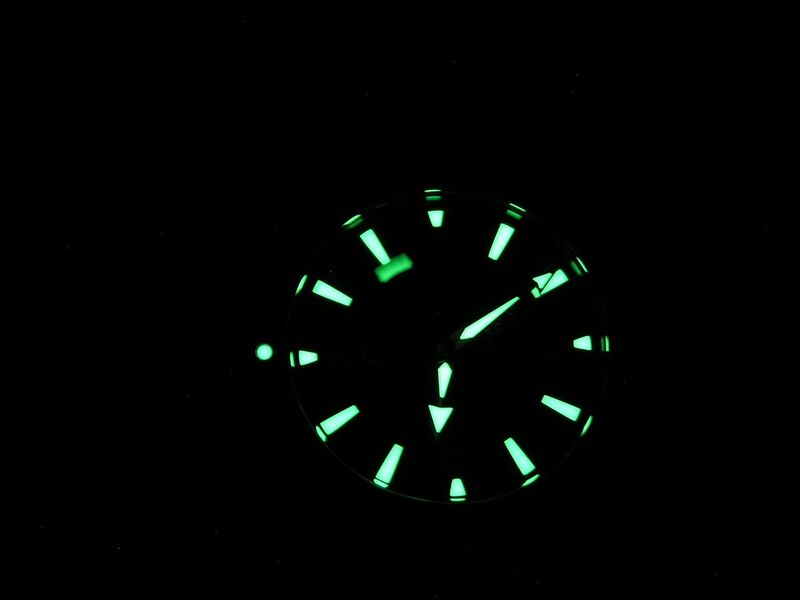 Lume, as with any watch in the Seamaster lineup, is bright and long lasting, consistently among the best in the business. 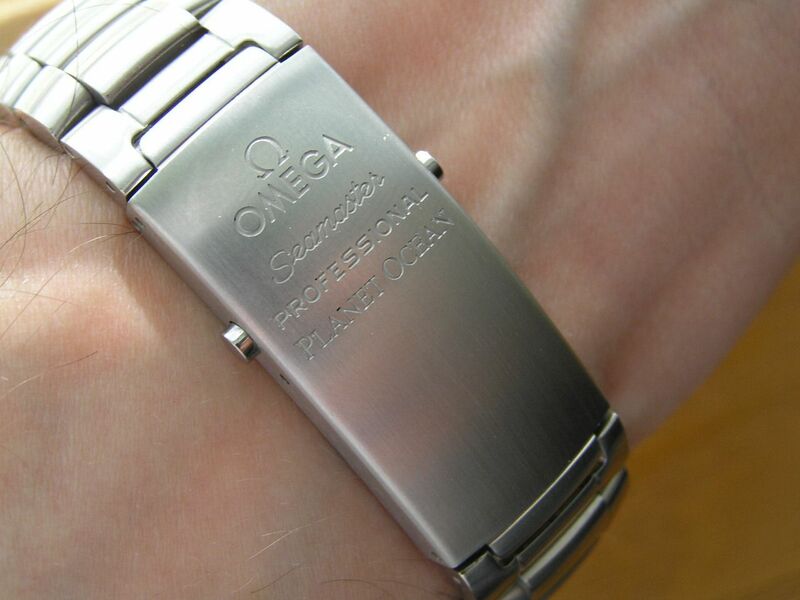 The bracelet on the PO is rather plain in my eyes, fully brushed with a three link design of simplicity. 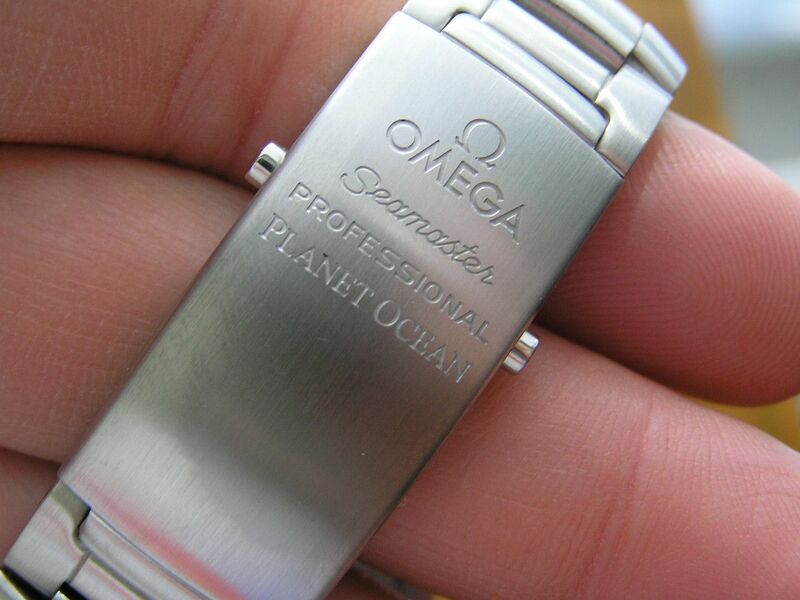 The classic Omega pushbutton brushed clasp is signed ‘Seamaster’ and ‘Planet Ocean’ and works great, with a machined deployant and machined diver extension. 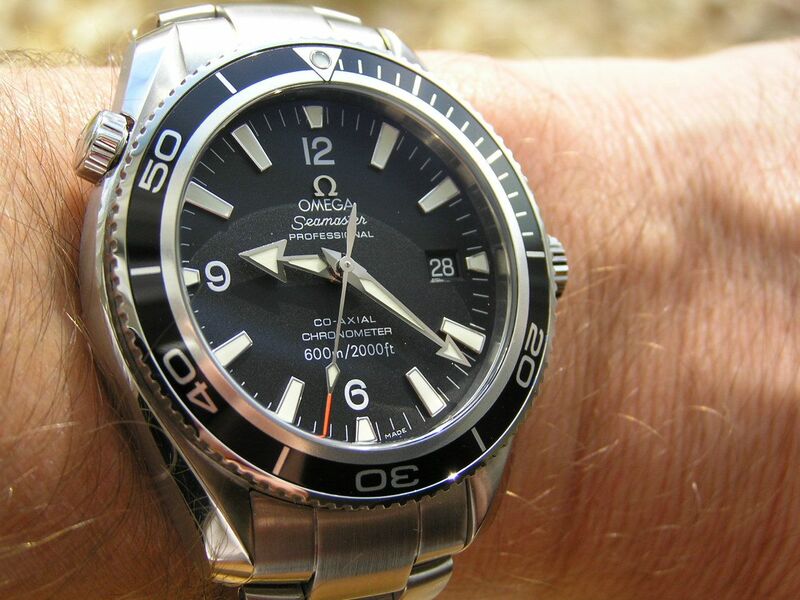 Bracelet sizing was much easier than on my Seamaster Pro, the link pins and collars were removed without a fuss. 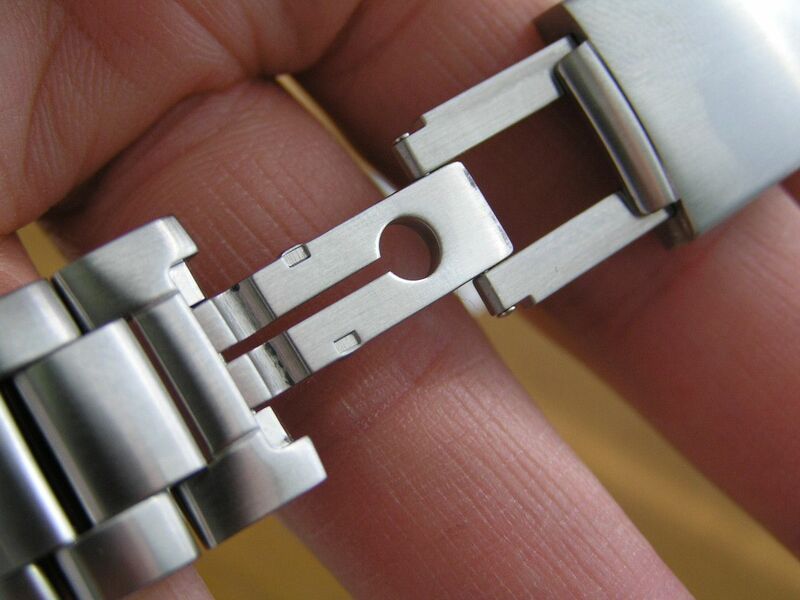 Since there are no micro-adjustment holes on the clasp, Omega includes half-links to achieve a better bracelet fit. Luckily, the fit on my PO is pretty good. 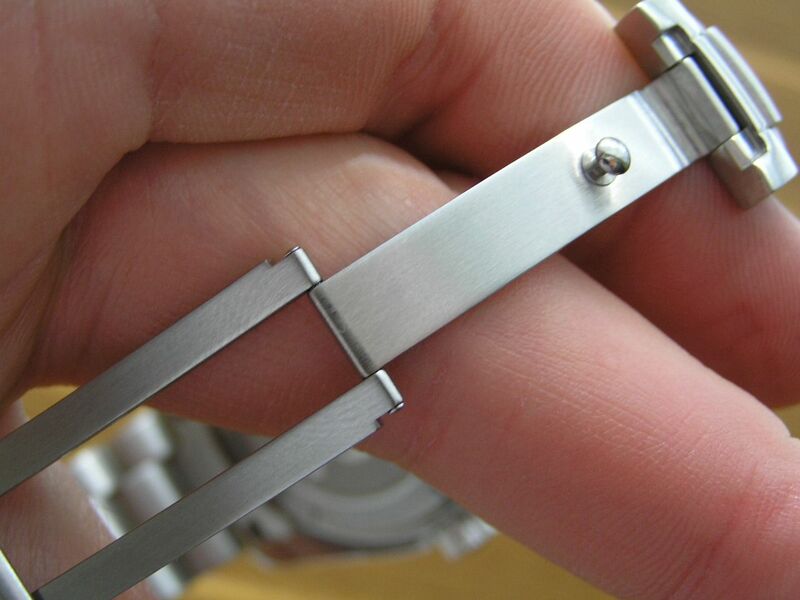 The bracelet measures 20mm at the lugs and tapers to about 17.9mm at the clasp. 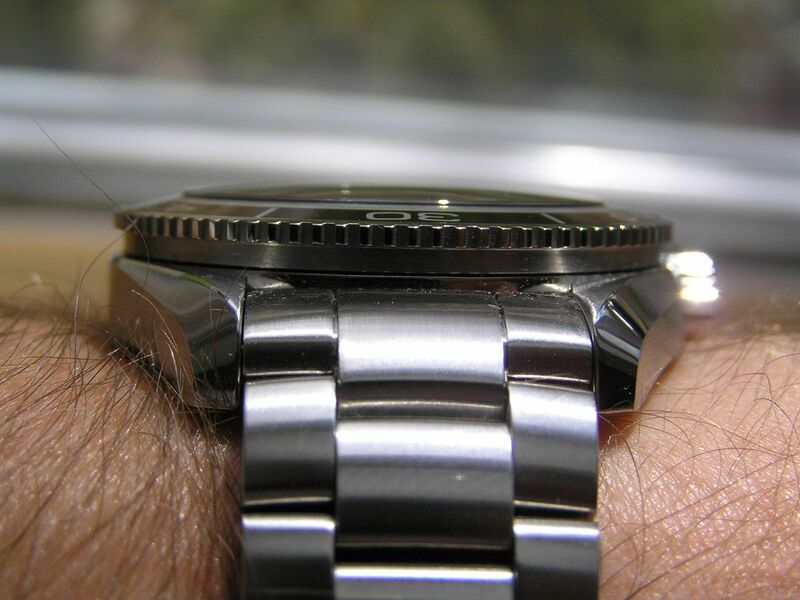 At 42mm, the PO wears just about perfect and looks fantastic. For my smaller wrist, the 45.5mm size would be just too big. People really love the look of this watch! Presentation is standard Omega, read: good. The red leather(ette) box, padded interior, plastic features cards, etc. are all appropriate to this watch and its price point. 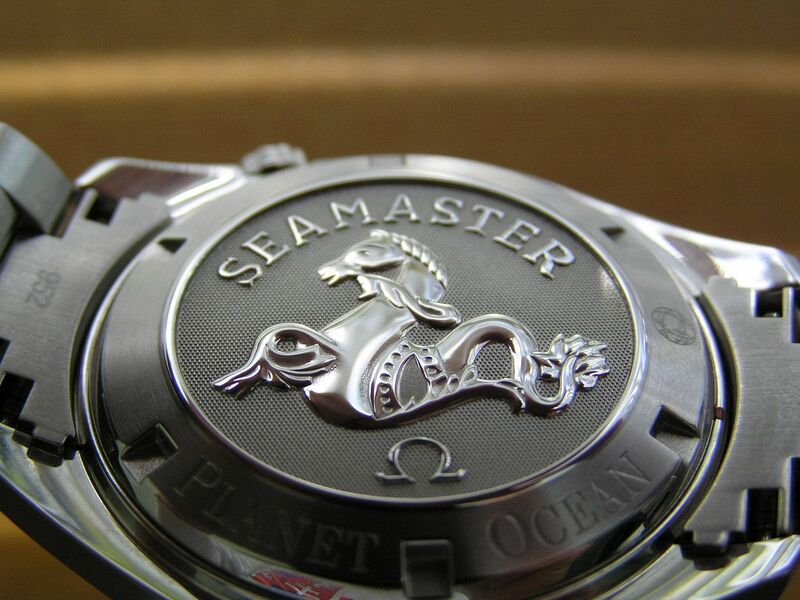 While the Seamaster Pro is an undeniable classic, I feel the Planet Ocean has already achieved (or will do so soon) iconic status among the WIS amongst us. Damn good looks, strong performance and excellent quality make this watch a winner. 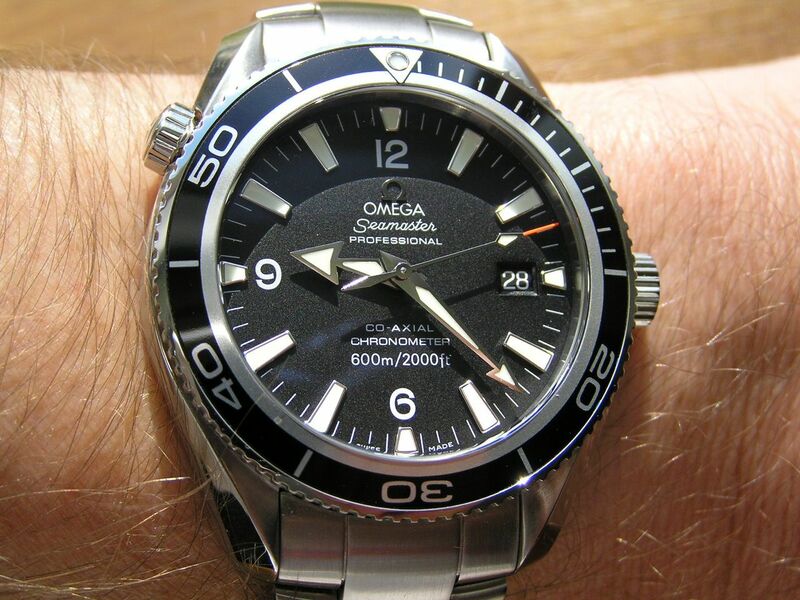 Verdict: buy it for looks, buy it for quality, buy it because it’s an Omega, but just buy it, because it's simply a great watch. Well done!